How are you? I hope you had a great weekend. 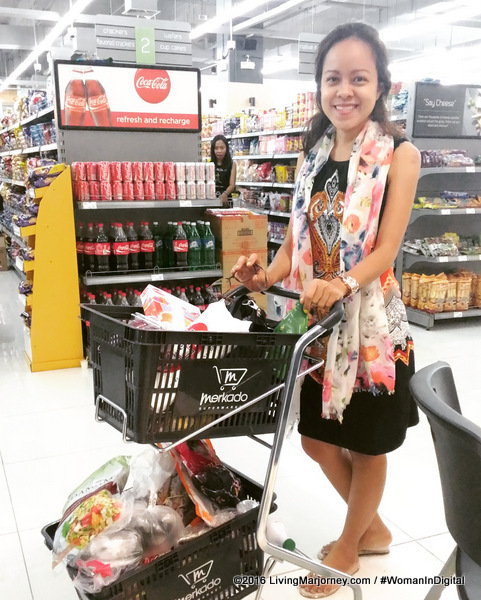 Wearing my wifey hat and comfy Butterfly Twists sandals, I went supermarket shopping at Merkado in U.P. Town Center last week. 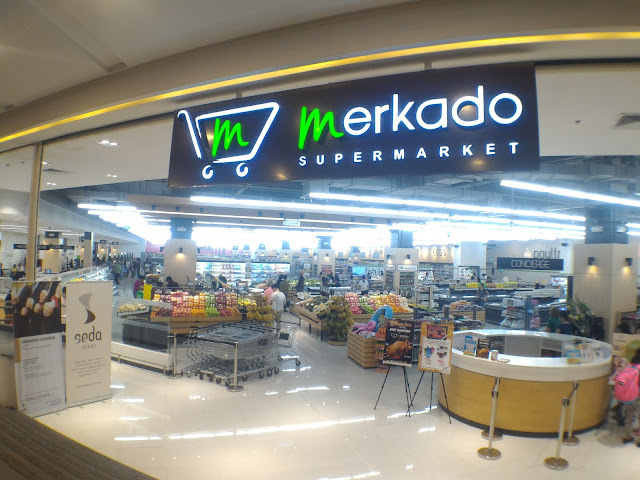 It's always been a delight to visit Merkado Supermarket for some frozen fruits like berries and strawberries. Recently, I found another one, the frozen sliced mangoes. I thought I can make healthy and refreshing fruit juices and smoothies like those we usually buy at Jamba Juice (yes we're regular customers) especially this hot weather. When doing your grocery shopping at Merkado make sure to bring pashmina. It's cold inside Merkado supermarket so going around has always been comfortable. 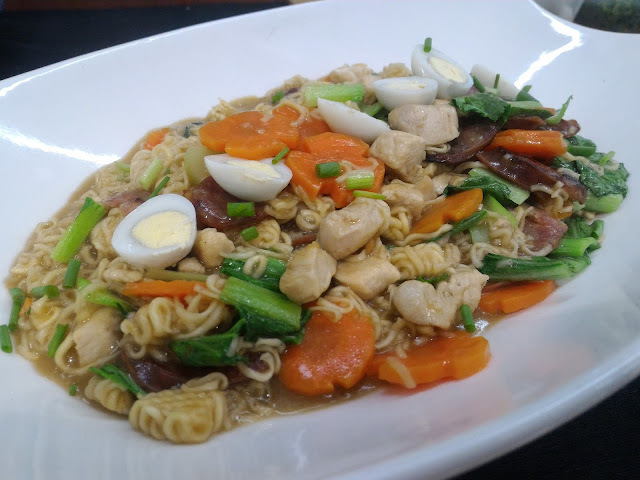 While doing my grocery shopping, we smell the aromatic noodles being prepared by Chef DJ and Sabrina of Sabrina's Kitchen. It was the newest products of McCormick, the McCormick Noodles and Seasoning Mix. 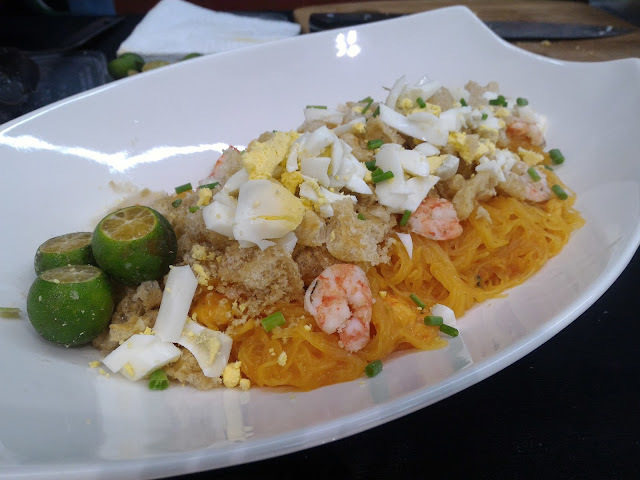 I have tried the four variants and my favorite was Laksa and Palabok. Other variants are Birthday Noodles and Chap Chae. But it was my first time to see actual cooking preparation for McCormick Noodles. I find this event more interesting. I learned a lot from Sabrina like how you should cut fish that it should not hit the bones to prevent that "malansa" flavor. Sabrina also presented additional recipes like kinilaw and herb salad. 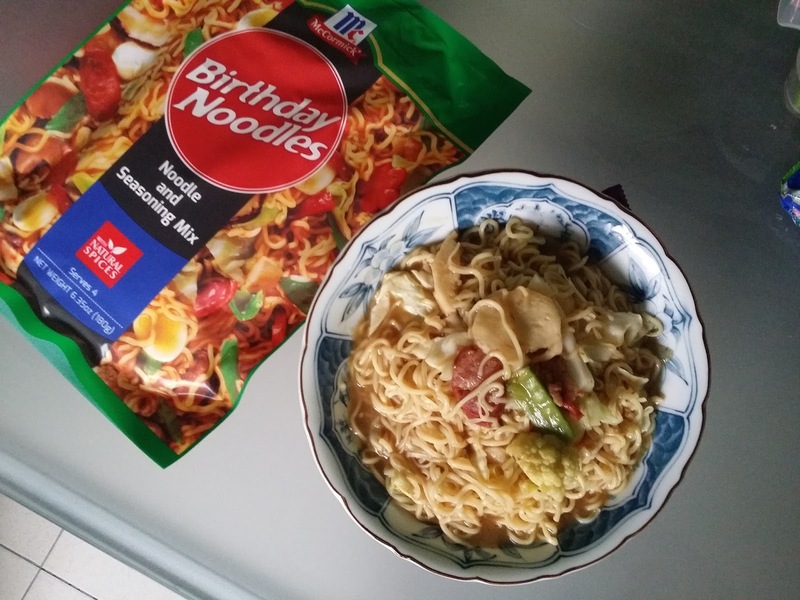 The next day, I cooked McCormick Birthday Noodles at home. Check it out here. Mix McCormick seasoning powder to 3 cups water. Set aside. Saute Chinese sausage in very little amount of olive oil. Add squid balls and dissolved McCormick seasoning mix. Add cooked noodles. Add vegetable or boiled egg if desired. No need to add seasoning. My husband was surprised when he got home and saw the dinner with Mc Cormick Birthday Noodles. He asked me "who's celebrating birthday today?" 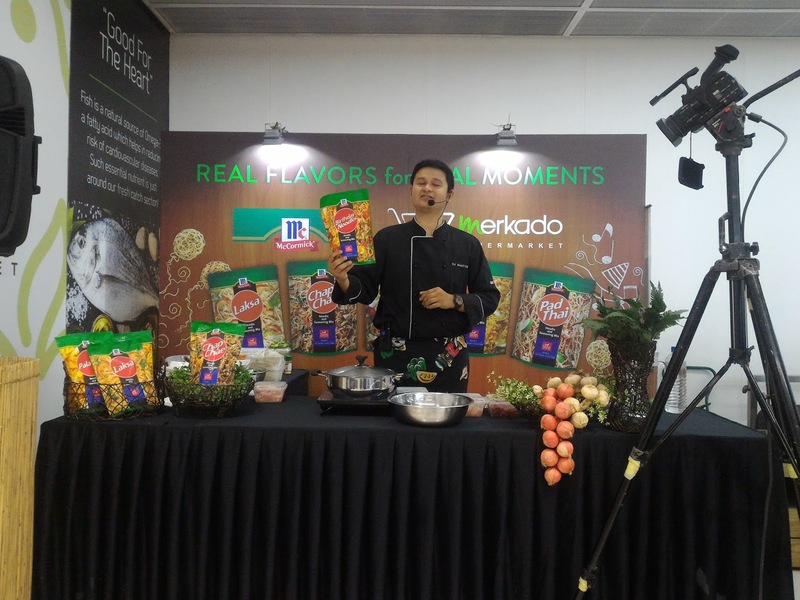 You can buy these McCormick Noodles and Seasoning Mix at Merkado Supermarket. They have the four variants - Laksa (P189), Chap Chae (P198), Palabok (P122) and Birthday Noodles (P122).